Cyber Security threats are a national security issue in this age of technology. Countries like Russia, North Korea, China and America have their own Cyber Security wings – Which hires the world’s finest cyber security professionals from around the world. Russia is one country, which is highly involved in using the Cyber Security tool in order to spy on their rival countries. Currently United States is engaged in a fierce Cyber War with North Korea according to the reports in U.S Media. The recent failure of North Korean missile test is no fluke – even though U.S officials said the reason of failure is poor workmanship. But, there are reports surrounding U.S media that the American pentagon hackers from Cyber Security unit played a big role in this failure. 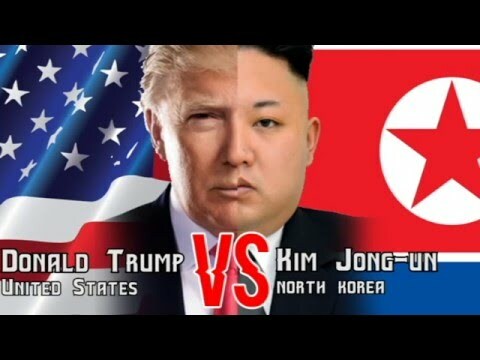 It’s now clear that President Trump has giving the signal to deal aggressively with North Korea and last Sunday’s Cyberwar is the first step of American attack on North Korean regime. The most menacing thing is now it’s North Korea’s turn to respond with its cyber army. North Korean cyber army has previously targeted various private companies ( SONY Pictures) and many State department officials of America. We analyze what are the areas America can be most vulnerable to a cyber attack. The nuclear missiles of North Korea may not reach the American soil but there are now other serious Cyber threats that concerns United States economy and infrastructure. If they can take down any of these sectors it’ll not only create chaos in America but also ruin the world economy. Imagine a Cyber attack on U.S financial sector. Imagine an attack on every U.S states where American citizen couldn’t withdraw, transfer money online or from an ATM machine. Imagine your bank account says that the balance in your account is $0.22 instead if $2,000. It can not only chaos among whole America but it will have a disastrous effect around the whole world because U.S financial sector is the pillar of world economy. This is not just a theory because major banks in United States has been hacked in past years. Even with increased funding on Cyber security budgets there are still concerns about the security of those banking networks. This is not something that is easy because to take down all of U.S financial institutions at same time it’s a lot of work but not impossible. The second area which has impact greatly on American economy is the communication sector. If North Korean cyber arms takes down the communication industry it’ll not only closes the trade of United States and all airports will be shutdown because of commutation protocols. It will cause the complete disruption between work and operations. Communication is the fundamental of how we work and operate any business operation of day-to-day basis. So, basically if the commutation sector of America is taken down by North Korean cyber army it’ll create chaos and the US economy may be freeze. Hacking into the satellite systems of America will suspend the global communications – Even the fiber under the sea can be taken down because these things are not impossible. Now time has changed and no country will directly engage in war because it can affect the both parties economically. These cyber war tactics can ruin an economy and send them 20 years back without even engaging in direct war.